BetVictor Casino is giving away 2500 free spins every Tuesday through their Top of the Slots promotion – get the details here! BetVictor Casino are one of the best online and mobile casinos around, and for fans of online slots there are hard to beat. As well as the fabulous BetVictor Casino £200 Welcome Bonus, which is available to new customers, BetVictor have a number of great casino offers and bonuses for existing customers. Here we give you the lowdown on one of their ongoing promotions: Top of the Slots. Be sure to check out our full BetVictor Casino Review for details of other offers and bonuses or just head straight to the BetVictor Casino site. The concept of the Top of the Slots promotion is a simple one. Every Tuesday BetVictor will dish out 2,500 free spins to customers who opt in to the promotion and then wager a minimum of £20 on slots. *The RTP% is calculated by dividing a player’s total winnings by their total turnover and multiplying by 100. So if you want to be in with a shout of pocketing a load of free spins, make BetVictor Casino your primary port of call every Tuesday! All casino bonuses and promotions have various terms and conditions attached them. We suggest that you ALWAYS read the full terms and conditions of any casino offer on the relevant casino site before you accept it or opt in. But here are the main points to note about this promotion. With some online casino bonuses and promotions there are certain strategies to employ that can help increase your chances of winnings. With the Top of the Slots promotion, however, the only real tactic you can employ is to play as many rounds as you can in the time (subject to funds of course) and hope you finish at or near the top of the charts for either the number of rounds or the RTP%. Of course, if you have the highest RTP% it means you’ll have been winning plenty of cash, which is great as you’ll be rewarded twice, with your winnings and then the free spins. It makes sense to aim to play on slots which are programmed to have a decent RTP%. 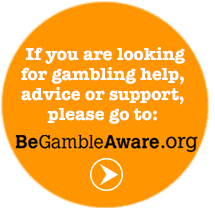 If this information is not forthcoming on the BetVictor Casino website, you could always ask their customer services staff for the details. Playing slots with the highest RTP% (i.e. lowest house edge) will give you the best chance of turning a profit whether you make it into the top 25 or not.